We offer custom loaded brand specific "over the counter" 50 BMG rifle ammunition for; "Click" on the one you are interested in for more indepth details. 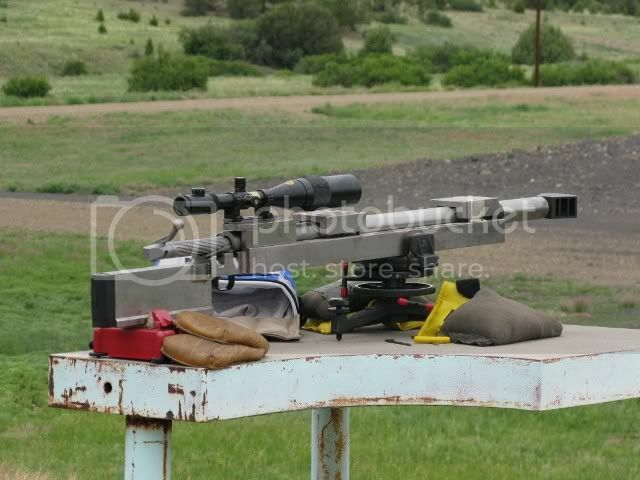 We also will work with you on your specific big 50 BMG to make a round that will perform at it peak in that rifle. They are all CUSTOM MADE TO YOURS and THESE SPECIFIC RIFLES! If you do not see your specific rifle listed here call and ask us about yours. We can custom make ammunition for your rifle by having you send it to us or there may be other options. Remember we use the best components we feel will perform the best for each application. This is not cheap ammunition (we do not even try to be cheap) it is high speed and extremely accurate ammunition. Type of Bullet: ACCULUBE coated copper jacket with lead core and aluminum tip. Can be used for hunting or long range target shooting. It is a top performing bullet for both out to and beyond 1,000 yards. Average velocity is 2,900 fps. Accuracy is excellent. Type of Bullet: ACCULUBE coated copper jacket with lead core and tip - SOFT NOSE. Excellent for mid range hunting out to 600 yards. Type of Bullet: ACCULUBE coated copper jacket with lead core and tip PROTECTED POINT. Excellent for hunting at medium range of 600 yrds. or less. General velocity is around 3,100. Accuracy is excellent. Type of Bullet: ACCULUBE coated copper jacket with mild steel core FULL METAL JACKET. 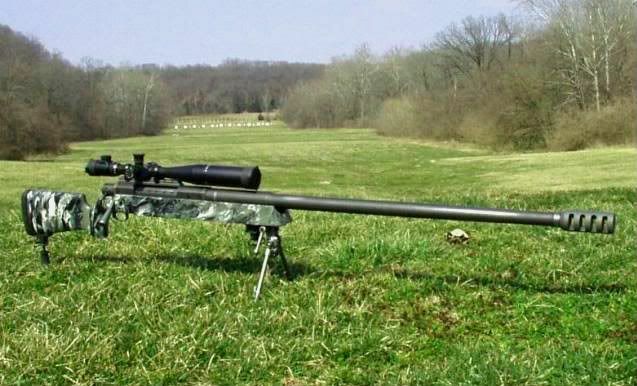 Excellent for mid range shooting and hunting out to 600 yards. Velocity is generally 3,100 FPS. Use on dangerous game. Accuracy is excellent. Type of Bullet: ACCULUBE coated Solid Copper- X style made just for us. It is an excellent hunting bullet for long range out to 1,000 yards. General speed is 3,000 fps. Good for nearly any hunting application. Accuracy is above average and velocity will be around 2,900 fps. Type of Bullet: ACCULUBE coated Bronze solid. This bullet requires a "bore rider" chamber in the rifle. It is a long VLD design and well proven in many competition setting. This is the bullet that has won many many matches including the FCSA World Championships. It is truly a top performer! General velocity is high 2,700 fps. Type of Bullet: ACCULUBE coated Bronze solid - NON-BORE RIDER - fits any rifle chamber. Excellent for target shooting at long ranges lout and beyond 1,000 yards. It has a VLD style design. General velocity is around 2,800 fps. Type of Bullet: CALL FOR INFORMATION. We will need to know what your special application is for top performance. Soft target/hard target/ close range or long range. Just give us a call. Type of Bullet: ACCULUBE coated FMJ with mild steel core - not for hunting & can not be used on many public ranges. Above accuracy and will shoot very good at long ranges out to 1,000 yards. General velocity is about 2,800 fps. Type of Bullet: A special break in process just for 50 BMG's - It works! Priced per box of 50. Type of Bullet: None - special load - NOT SURPLUS-NEW. Generally will not cycle a semi-auto. Type of Bullet: FOR SPECIAL APPLICATIONS -- CALL we will work you on your special needs. BRASS CASES WE USE- About the different brass cases (commonly called Brass) we select for use in our 50 BMG ammunition. Over the years we have used many different types of brass cases for our ammunition with very good results. Which are the best? We think they are all good once we cull through them during our inspection. We know after 18 years of making 50 BMG ammunition that all brass cases must be reworked and carefully inspected to acheive the best performance. We totally rework the brass case in nearly every way a benchrest shooter would; slowly and carefully. We feel each loaded round we make is of the quality to use in the World Championships! We hope you do too. All ammunition can be purchased in any quantity of 10 or more. Our boxes hold 50 rounds. We do not make AP, API, Tracer, or other similar type special use ammunition. We will soon make frangible loaded ammunition. Watch our site for more information. WHERE IT APPLIES-FEDERAL EXCISE TAX OF 11% IS INCLUDED IN THESE PRICES! We use UPS or FEDEX for all shipping of loaded ammunition. Prices are subject to change without notice please call to confirm prices! All of our ammunition is made rifle specific for accuracy and performance. IF YOU DO NOT SEE WHAT YOU WANT - PLEASE CALL!